Get 30% off on all Maybelline products above P250 and 20% on all products below P250! Sale starts today, on all SM, Watson's, Robinsons, Mercury Drug and Metro Gaisano malls nationwide! 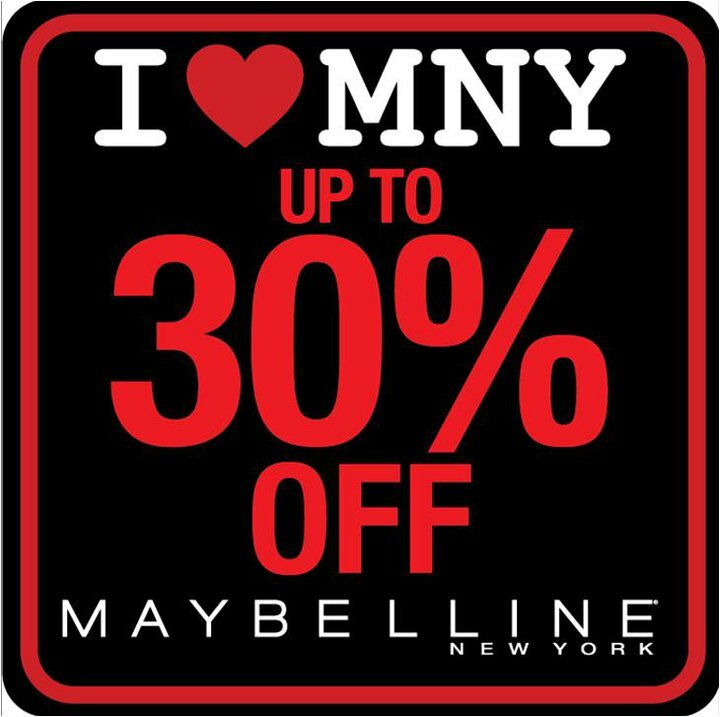 I'm so happy to have heard from Maybelline that they're having an awesome sale starting today! Perfect timing as I need a BB cream refill, and I'm looking for a nice orange dewy lipstick. Have my fingers crossed. Hope they have one! BTW, I tried their Hyper Diamonds palette in Black/Gray and Violets. Wow, the violet's so pretty! The Black/Gray is so vamp! Speaking of shopping, just recently settled my heart's desire and bought my very own Charm Travel Pro v2 Brush set. I'm so excited to receive it. I'm giving you nice holiday looks using it, promise! Give me next week since it's to arrive next week! So excited to play with the mineral eyeshadows I bought as well. Both the eyeshadows and the brush set is available at Beauty and Minerals. Great store for super nice and healthy-for-the-skin make-up. Please check out their site and say hello to Sophie for me! 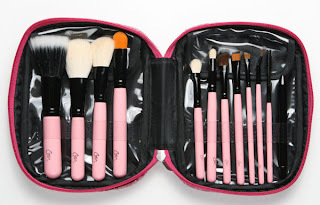 If this set pleases me, I'm definitely gon' have to get the Charm Pro Brush set! Oh dear! ﻿﻿November's almost over! Can't wait for December! Can't wait for my Sephora buys through House of Flair! Please say hello to Suyen for me if you're getting from her! I can't wait to fool play around with my Stila glosses, Buxom plump gloss and lipstick and Kat Von D lipstick set! Wuh. How many lips do I have? haha! Lord bless me with enough time to release all these features so I can give my readers the inside scoop with the products I've been discovering. Knowledge is power!